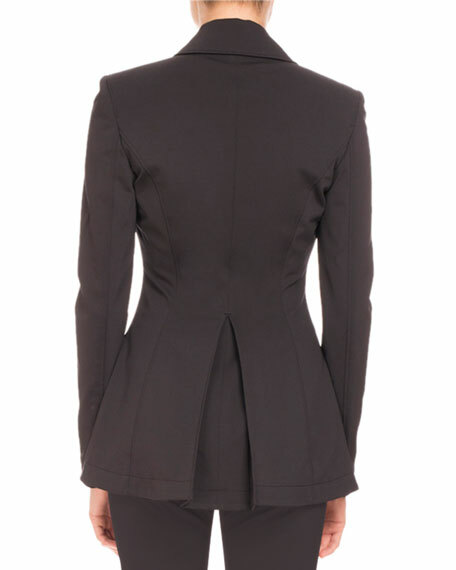 Altuzarra "Acacia" solid stretch-crepe blazer. Welt pockets at left chest and hips. 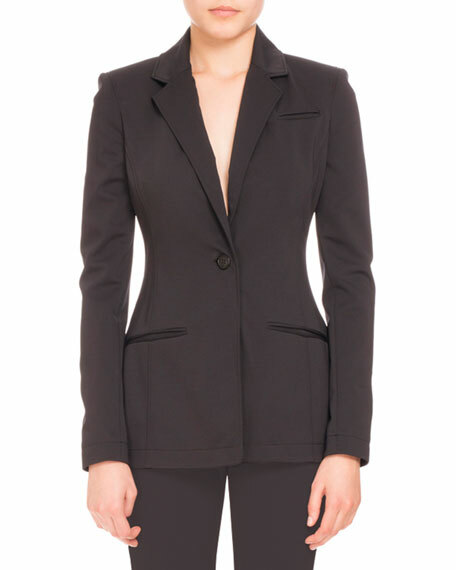 Joseph Altuzarra grew up in Paris, attended Swarthmore College in Philadelphia, worked with Marc Jacobs and Proenza Schouler in New York, and then returned to Paris to work as a design assistant for Givenchy. This eclectic background has had a major influence on Altuzarra's own creations in the line he launched in 2008. These perfectly balance the legacy of French culture with New York's energy to provide fashion for the modern professional woman that is both contemporary and practical.